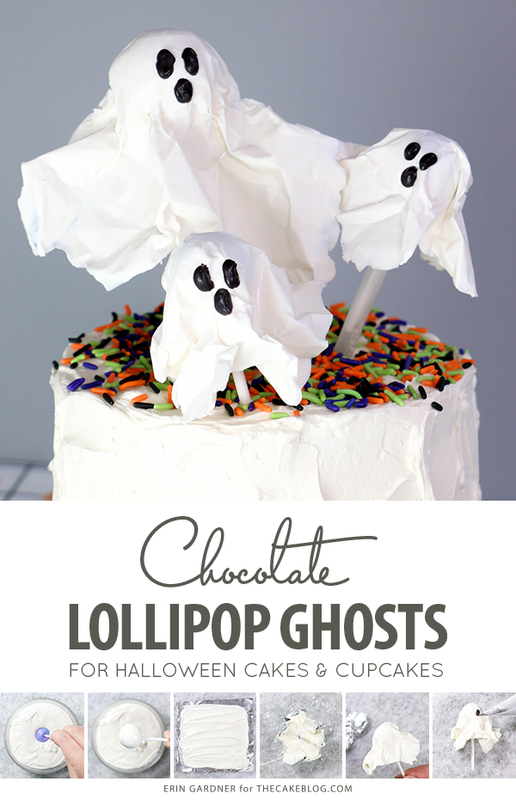 Chocolate Lollipop Ghosts – how to make edible lollipop ghosts for Halloween cakes and cupcakes using white chocolate and suckers. A new tutorial by our contributor Erin Gardner. 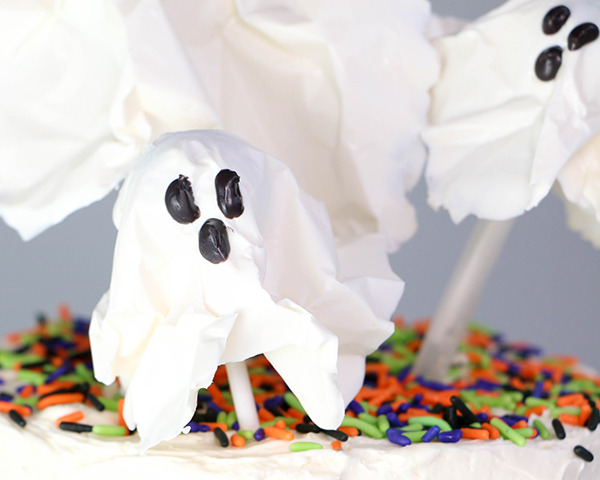 Can you guess the source of inspiration for these hauntingly delicious lollipop ghosts? 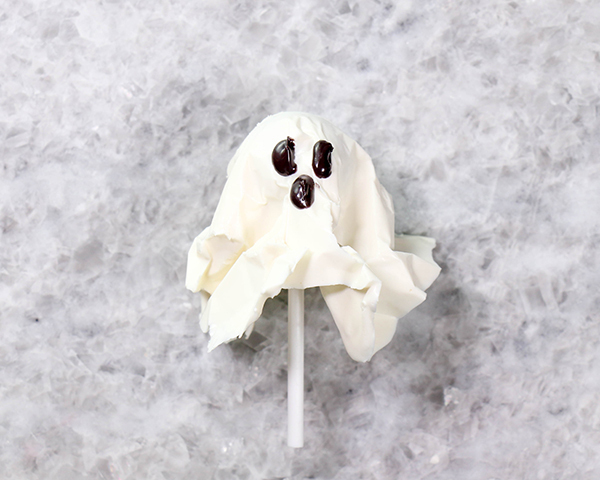 If you’ve ever trick-or-treated, odds are you’ve received a tissue or napkin-covered lollipop ghost at least once in your travels. Better odds, you probably got at least a few every year! 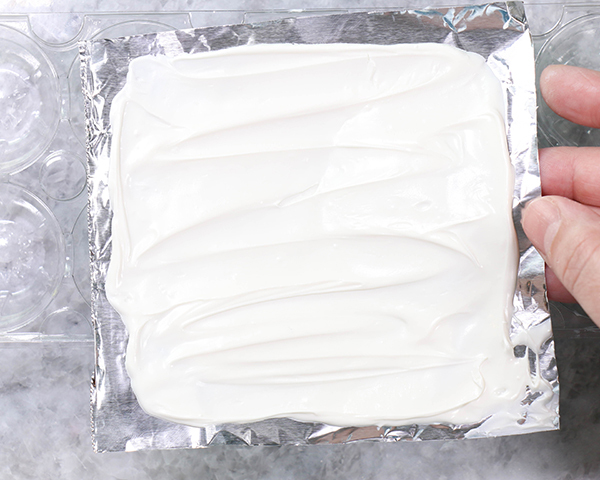 This updated and completely edible take on the classic Halloween treat is way easier to make than it first appears thanks to my trusty friend, heavy duty aluminum foil. I stuck with lollipops since that was the source of my inspiration, but this would also be a fantastic way to cover a few ghoulish cake pops. Serve them on their own as part of a spooktacular sweets buffet or follow my lead and use them to top a simple buttercream cake. 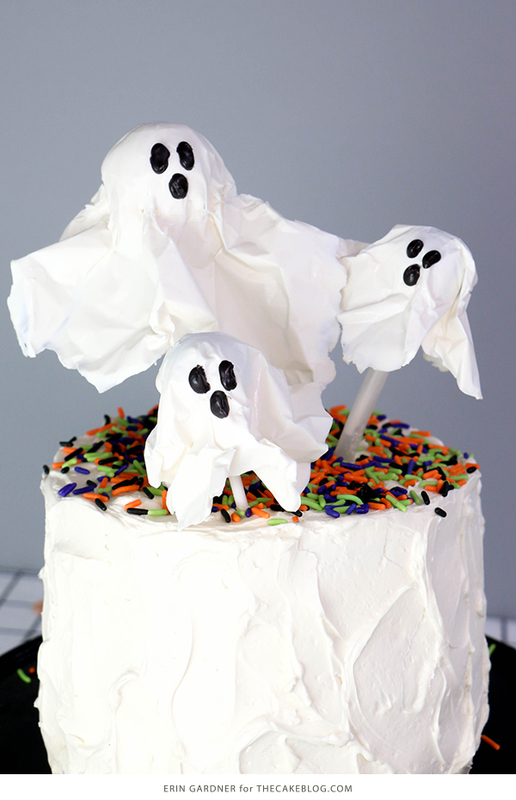 Smaller ghosts would make the perfect toppers for frightfully fun cupcakes. Starting with a lollipop that’s about 1-inch in diameter, tear off a piece of aluminum foil that’s about 4-inches wide. Cut the piece of foil into 4” x 4” squares. For the larger, 2-inch diameter lollipop I used a square of foil that was approximately 6” x 6”. Melt the white coating chocolate in a small heatproof boil. Dip the lollipop in the melted chocolate and set it aside to harden. 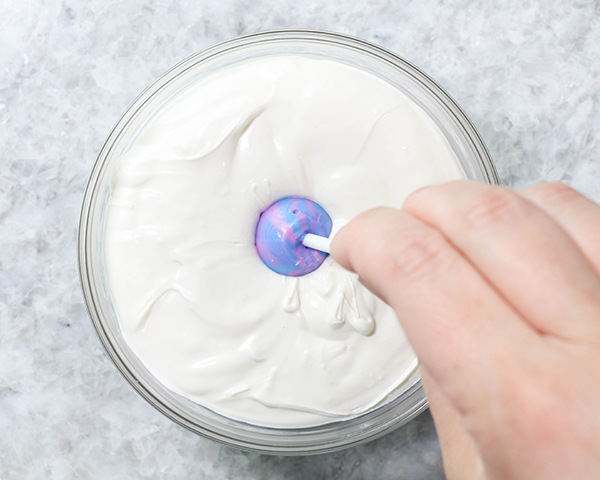 This helps prevent the color of your lollipop from peeking through the finished product. You can skip this step if you’re using a white or clear lollipop. 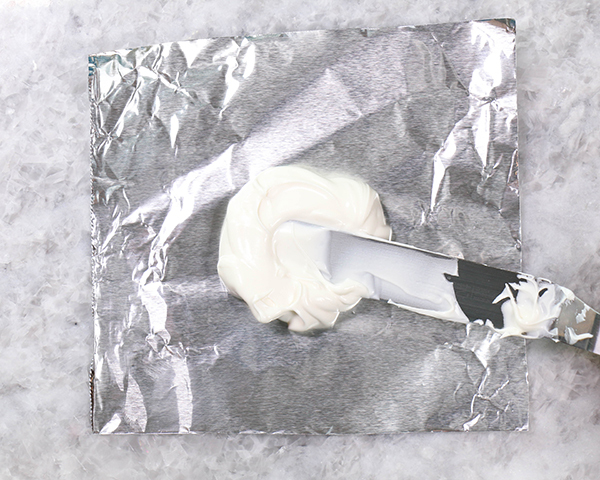 Spread a thin layer of chocolate on the piece of foil leaving about 1/4-inch around the edges clear. 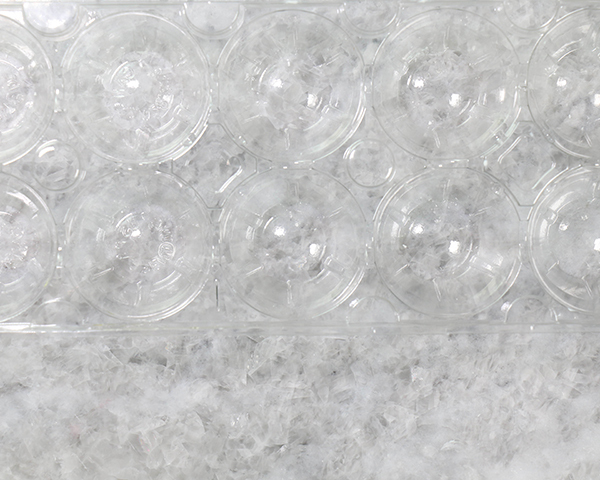 Use the clear edges to help move the foil to the egg carton. Center the foil over one of the wells of the egg carton. Flip the lollipop over and press it into the middle of the foil, pushing it down into the well of the egg carton. 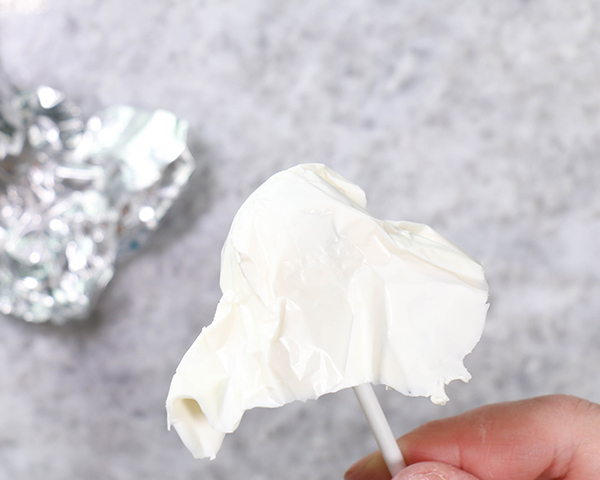 Adjust the edges of the foil so that they flair out and away from the lollipop. Leave the lollipop in the egg carton until the chocolate has completely hardened, about 10 minutes. Pop the whole thing in the fridge to speed the process up. 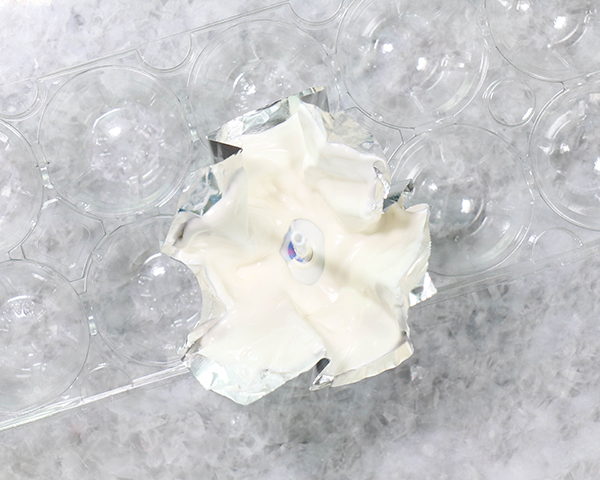 Remove the chocolate-covered lollipop from the egg carton and carefully peel away the foil. 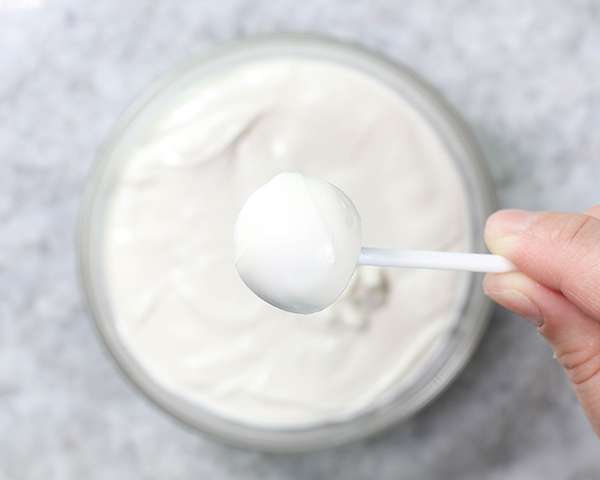 Don’t worry if you have any breakage around the edges. It will only add to your ghost’s spooky appearance! 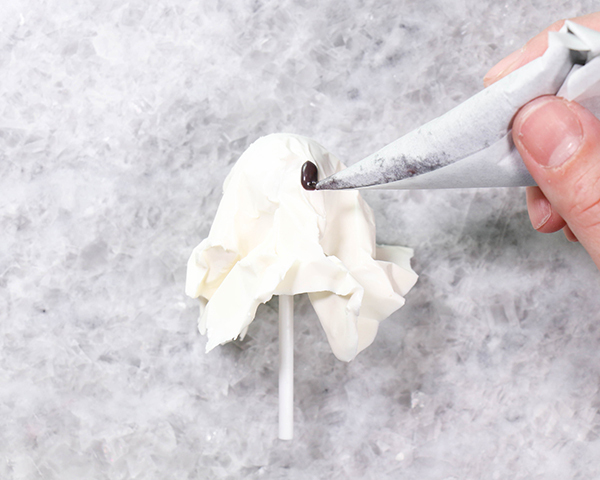 Melt the black coating chocolate and fill a small piping bag or paper cone. Use the chocolate to pipe eye and mouth details on your ghost. I kept it classic with simple ovals, but you can make yours as cute or as creepy as you like. 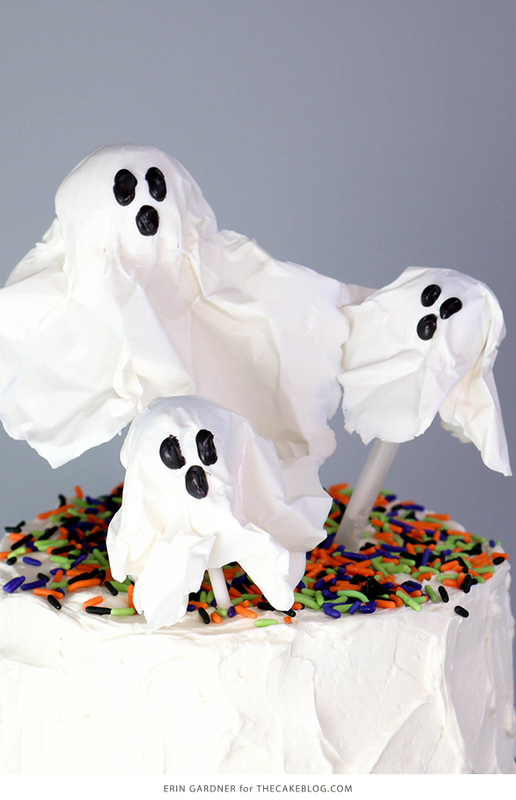 Use your finished ghosts to top a freshly iced buttercream cake or cupcakes. 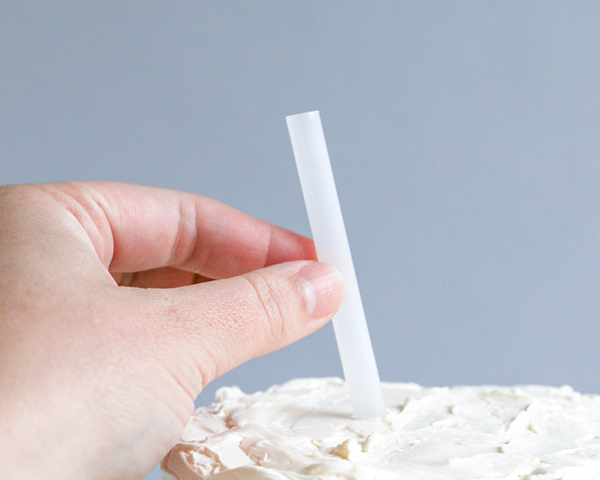 To give your ghosts some height, add a straw to the cake first. 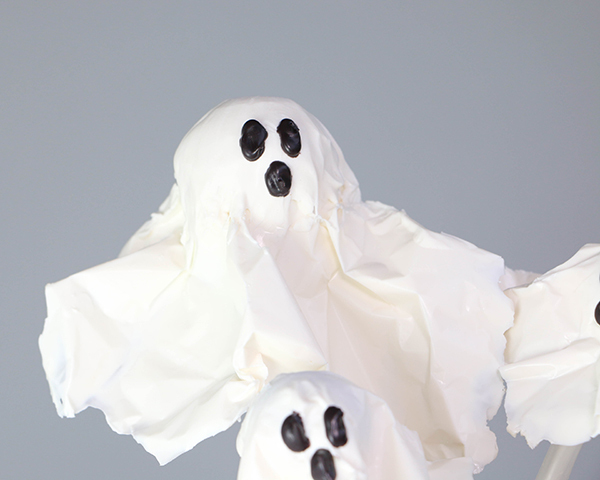 Make ghosts ahead of time and store them in an airtight container at room temperature for up to a month. Genius! Im blown away, the creativity is awesome! 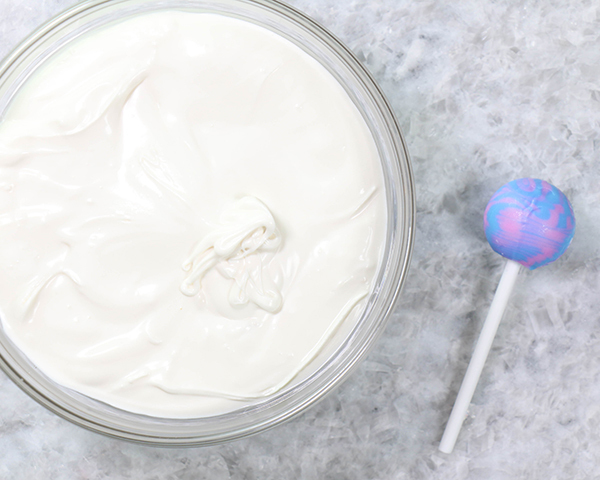 White chocolate ghosties! Love it! 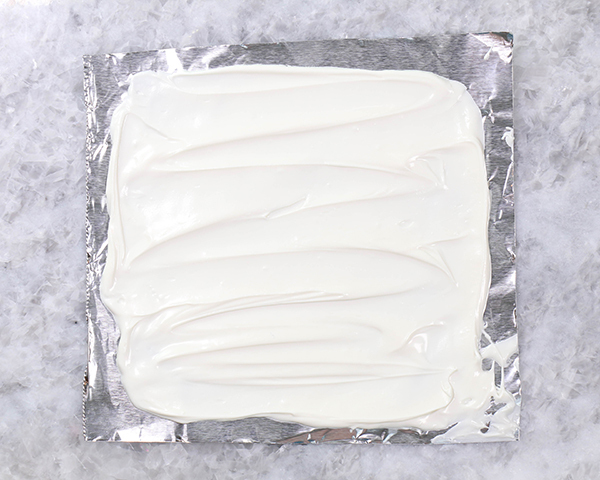 Have you tried parchment paper in lieu of the foil? Hi! Yes, I did. Unfortunately, parchment paper becomes too floppy when it’s coated with melted chocolate. The foil holds its shape much better. Thanks!